A large portion of my childhood and adolescence was during the ‘noughties’ decade, so this period of cinematic history will always be particularly memorable personally. As I like many others have been lucky enough to have grown up in a period with so many great films. The list of films compiled are some of my all-time favourites but most importantly, what I believe to be the best films from 2000-2009. A truly inspirational film that tells the story of Chris Gardner (Will Smith). He is a struggling father and becomes homeless when he and his son, Christopher (Jaden Smith), are evicted from their apartment. Whilst he lands an internship at brokerage firm, he and his son struggle with the hardships of homelessness, but Chris refuses to give up on his pursuit for a better life. Based on a true story, which makes the film all the more powerful. Shane Meadow’s harrowing drama follows a young boy, Shaun (Thomas Turgoose), and his shocking descent into the racist world of Combo (Stephen Graham), an ex-convict. This Is England is arguably one of the greatest British films of all time, sending out era-defining messages. A great social realistic depiction of English skinhead culture that is a remarkable entry in British cinema. Daniel Craig’s portrayal of James Bond is easily one of the best yet, if not the best. After a hiatus in the Bond franchise, Casino Royale acts as a semi-reboot and we see a Bond at the beginning of his career, prior to his ’00’ status. He is tasked with the mission of winning a high-stakes poker game to prevent a victory from the villainous La Chiffre (Mads Mikkleson), who plans to finance his winnings in terrorist organisations. If you’re a fan of Bond, Casino Royale is simply unmissable, it is an action-packed, enthralling adventure from start to finish. Leonardo DiCaprio definitely has a knack for portraying real-life famous and legendary figures. Catch Me If You Can is the true story of Frank Abagnale, who became one of the most wanted men in America after forging cheques worth thousands of US dollars, as well as posing as a pilot, a doctor and a lawyer in the process. There is something special about this film that makes it so engaging and it is definitely a film that can be watched and enjoyed several times over. This film is a masterful adaptation of a much-loved comic book character, and Christopher Nolan has seemingly reconfigured the idea of Batman into a detective crime thriller that is grounded in realism. Such a brilliant watch, and Heath Ledger’s The Joker is certainly one of the all-time great performances of any film. An alternate interpretation of history produced in controversial fashion, Tarantino continues his fine form of producing such poignantly enthralling films. One of the better films starring Brad Pitt and an interesting role he plays as an Allied officer, who gathers a group of Jewish soldiers to commit vengeful acts against the Nazis, and it really makes you question its moral compass. Nolan further implements his genius and ambition in cinema with The Prestige. The premise involves two magicians in the 19th-century, Robert Angier (Hugh Jackman) and Alfred Borden (Christian Bale), who compete against each other in pursuit of performing the perfect illusion. Such an intriguing narrative involving magic and trickery, that actually reflects the film’s central aim of tricking the audience. A mind-boggling, incredibly complicated film that actually makes no sense when you first watch it. This is a film that requires multiple viewings, but it is worth unravelling its baffling narrative and putting the pieces together. It has provoked many debates over the years, and it has developed somewhat of a cult following. There is even a website dedicated to explaining what the film is actually all about, from its mythology to the macabre events that take place in the film, and attempting to interpret the mysteries. Absolutely worthy of a top three spot as it is simply loveable, a joyous journey through suburban America, following the schizophrenic, Donnie Darko and his quest to save the universe. The combing powers of Gondry’s beautiful cinematography and the imaginative script of Charlie Kaufman has produced a tremendously brilliant film that not enough people have seen. An indie film by nature, it follows Joel (Jim Carrey) as he discovers his former girlfriend, Clementine, (Kate Winslet) has undergone a procedure which has erased him from her mind. Duplicating Clemetine’s actions, Joel undergoes the same procedure but realises he does not want to lose the memories of the love of his life, so he faces a race against time to save his memories from erasure. Most of the film takes place inside Joel’s head, so this film does require a certain level of open-mindedness. However, an amazingly original concept that is in itself incredibly admirable. The best film of the 2000s era and it just about scrapes the top spot. Diverging between genres, it is a psychological thriller, horror, black comedy, slasher and satire, all at the same time. A marvellous film that has it all in terms of entertainment and replay value, but where the film stands out among the rest is its satirical depiction of the materialistic and apathetic nature of society and the American Dream. 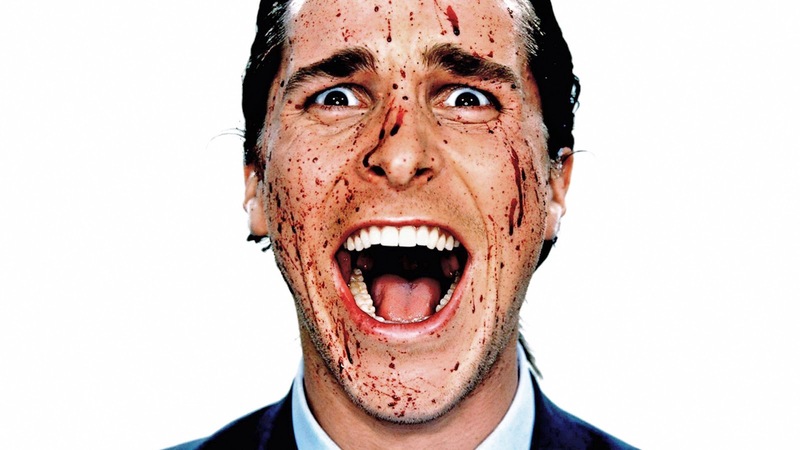 Patrick Bateman is by day an investment banker, but by night a serial killer. Gruesome, funny and disturbing, American Psycho is classic cinema. That’s a solid top 10 Liam. Love how high up you have Eternal Sunshine and The Prestige! Great list. I particularly like to see Catch Me If You Can here. My list would have also included something from Lynch or Cronenberg – they really made some great movies in 2000s.